Yiwu XinShang Jewelry Co., Ltd.
Our product has exproted to more than 400 countries and regions, which win favorable comments from customers worldwide. Q9. What is the minimum quantity for each order9 A9: Normally 100 pcs, but we also support a small quantity if you can accept a higher price. Q10. What is the production time9 A10: Normally it is 10-35 days, depending on the order quantity and complexity of making. (We always telling our employees that if our product is not good enough to give your lover then why you produce them. ) 5.We are honest and loyally. We will keep your trade secret loyally. Products Description Stainless Steel 3 Colors Hair Tie Grooved Cuff Bangle Bracelet for Women Girls Style stainless steel cuff bangle bracelet Material 304 stainless steel Length children 149mm length ,adult : 150-165mm length , wide normally :2-15mm ;thick:1.0-2.0mm ,welcome diy customized designs and logo Weight 12g approx Color steel silver /gold/rose gold/black /blue Usage Anniversary, birthday, engagement, gift, party, wedding, usual MOQ 50 pcs per color Package 1pc into one opp . W 12/12.5kgs Sample time If stock: 3-7 days if customized design: 15-25 days Production lead time About 20-25 days after receive your balance Trade term EXW, FOB, CFR, CIF Payment term Alibaba Trade Assurance, T/T , Western Union, Moneygram;paypal ;escrow payment/Alipay/Wechat red packet;or other methods of payment you have; Detailed Image Simlar designs How to order 9 How To pay9 we support the following payment methods ;if have any confusing problems , please contact us ; PackingShipping About Packing , we will use protected bag to pack goods , meanwhile using Tape to fix ; when you receive goods , any problems, please contact us , and take photos to our service guys ; if confirmed that's suppliers problems , we will re-send new one again , if shipping problems , we will assist buyers to get compensate finally ; all goods have been guaranteed ; About shipping , we accept the dropshipping ; just tell us your customers address ; easily for us to send goods for over the word ; if support the air shipping , sea delivery ; express delivery , slower cheap shipping ; we will choose the best ways and best price shipping methods , try let you goods asap in good price ; Company&certificates Yiwu Maxhen Promotion Gifts Co,. Ltd founded in 2010 year, 2017 year start expand foreign business ;, is location in the famous city on over the world -yiwu City ; famous for the small commodity Market;Our business philosophy :growing with customers,assist each other ,learning each other; save customer's cost in good quality ;we regard quality service as an essential part in promoting the company's development . 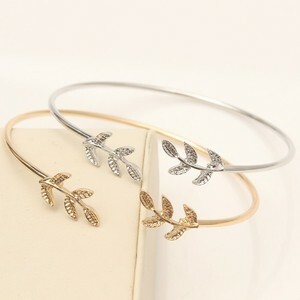 Alibaba.com offers 58,509 cuff bracelet products. About 95% of these are bracelets & bangles, 36% are stainless steel jewelry, and 11% are zinc alloy jewelry. 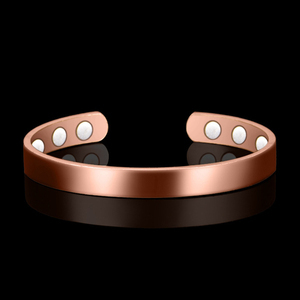 A wide variety of cuff bracelet options are available to you, such as stainless steel, gold, and silver. You can also choose from unisex, women's, and men's. As well as from anniversary, gift, and engagement. And whether cuff bracelet is quartz, zircon, or agate. There are 57,417 cuff bracelet suppliers, mainly located in Asia. The top supplying countries are China (Mainland), India, and Vietnam, which supply 88%, 7%, and 1% of cuff bracelet respectively. 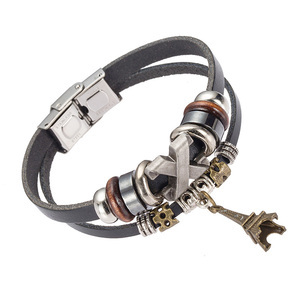 Cuff bracelet products are most popular in North America, Western Europe, and South America. You can ensure product safety by selecting from certified suppliers, including 4,009 with Other, 1,194 with ISO9001, and 956 with BSCI certification.